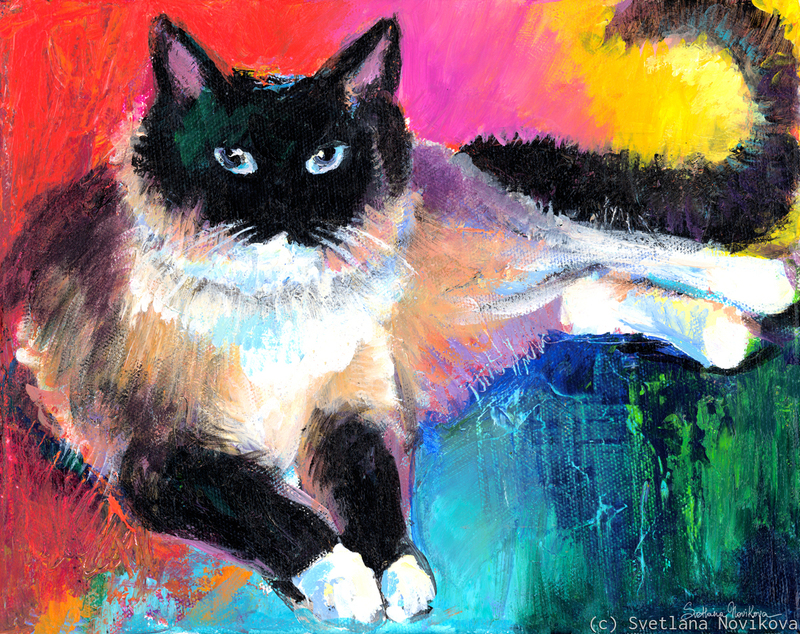 Colorful Ragdoll cat painting by (c) Svetlana Novikova, all rights reserved. Original is sold. I am available for custom pet paintings from photos.